Read the lecture and try to answer the interspersed questions. Who Knows What Inefficiencies Lurk in... Who Knows What Inefficiencies Lurk in the Hearts of Rent Controlled Housing Markets? Who Knows What Inefficiencies Lurk in the Hearts of Rent Controlled Housing Markets? 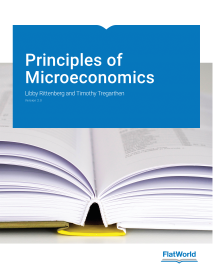 This is a simple glossary of words that are used in the microeconomics classroom.